The Jaguars were given a second chance to land Tim Tebow in a trade from the Denver Broncos, after the Jets initial trade hit a contractual snag. However, the Jaguars, once again, failed to complete a deal for Tebow. ESPN’s Adam Schefter reported that Tebow was given the final choice between the Jaguars and the Jets and he chose the Jets. In light of this Jaguars owner Shad Khan said he was satisfied with the outcome of the trade. Khans words might seem like a generic statement from a team who failed to land their man, but in essence they are completely true. The Jaguars ownership wanted Tebow; they tried to get Tebow; and Tebow chose the Jets. 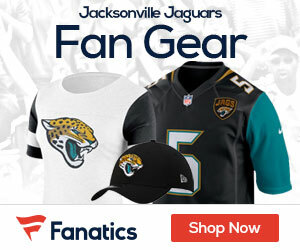 The Jaguars did all they could, and can now move on from the Tebow circus and continue their focus developing a winning football team to fill the stands. From a football standpoint this was the best possible outcome for Jacksonville. Blaine Gabbert, Chad Henne you can breathe again.